Earlier this month, members of the Regenstrief Institute demonstrated the potential for Fast Healthcare Interoperability Resources (FHIR) to aggregate and merge patient health data from separate data sources. “The shift toward more patient access to their record and the provider community being more comfortable with that — it’s simply a matter of a generation,” Regenstrief Institute investigator and Clem McDonald Professor of Biomedical Informatics at Indiana University School of Medicine Titus Schleyer, MD, PhD, told HealthITInteorperability.com. Over the past 3 years, FHIRAn HL7 standard that is short for Fast Healthcare Interoperability Resources and pronounced “Fire”. The standard defines a set of “Resources” that represent granular clinical concepts. 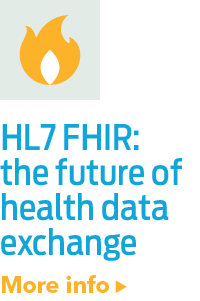 The resources provide flexibility for a range of healthca... has started to open eyes in the industry to what modern health data interoperability can look like… and the first normative edition of FHIR hasn’t even been released by HL7HL7 is a Standards Developing Organization accredited by the American National Standards Institute (ANSI) to author consensus-based standards representing a board view from healthcare system stakeholders. 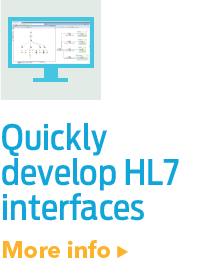 HL7 has compiled a collection of message form... International (release date is rumored to be early 2017). 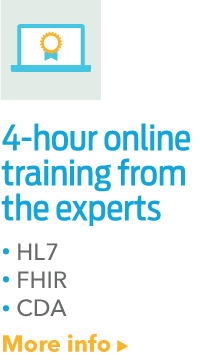 If you’d like to read more about FHIR, you can download our HL7 FHIR Primer, and read an article in Healthcare IT News, where Dave was interviewed about the progress of FHIR.